Here it is, the end of October already! Where has the year gone? Thanksgiving and Halloween are done and now we are gearing up for Christmas. To get us started, we are using the Yuletide Carol paper this month. 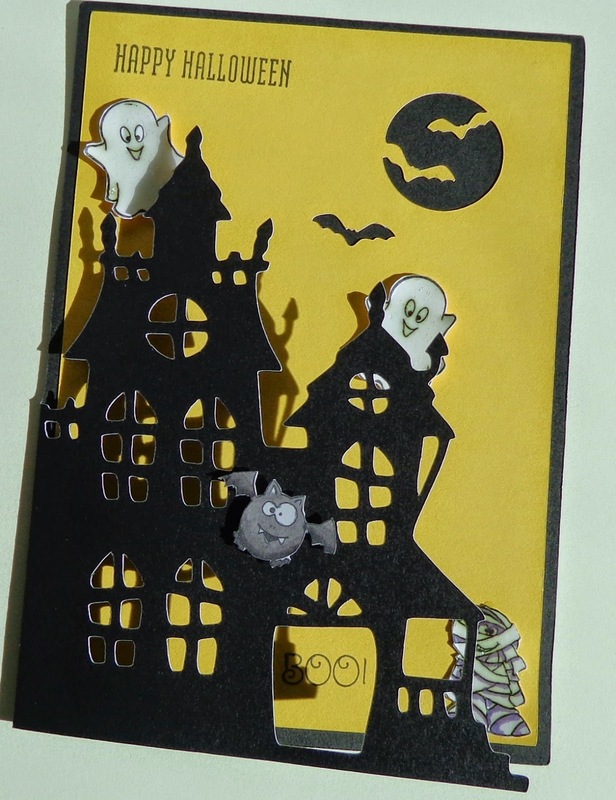 This is a beautiful paper pack and was so much fun to work with. So let's get on with the hop! If you got here from Anna's blog, you are on the right track! But because this is a circular hop, you can start anywhere! If you get lost along the way, just head on back to Nancy's blog where you will find the complete list of hoppers. 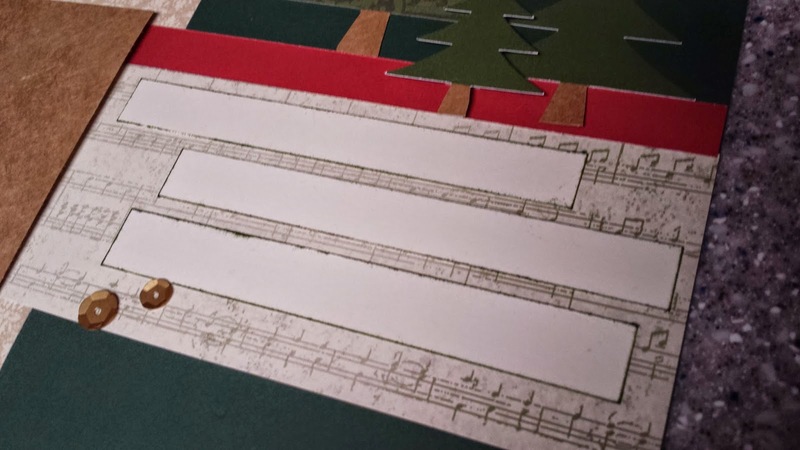 For the hop this month, I decided to do the Yuletide Carol Workshop on the Go layout. It is so pretty and I love the colours, except the black base pages. To me, black is a Halloween colour, not a Christmas colour so I changed the base pages to Ponderosa Pine! This did require a few other changes but I really like how it turned out! Because I used the Ponderosa Pine cardstock as the base, I had to turn the Green Damask over and use the side with the music. The piece beside the Kraft had to be moved up as it sort of blended in. I forgot to ink the edges of the papers and if I had, it might have shown up better. I did ink the edges of the journalling strips with New England Ivy so they would show up better. I used the direct ink-to-paper method so it would be really dark on the edge only. So that is it for this month! 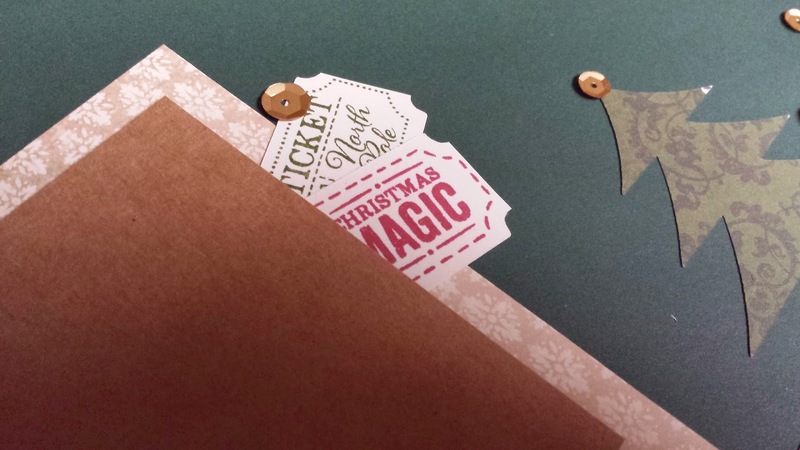 Stay tuned for December 1 when the hop will focus on the Snowhaven paper pack! Now, on to Holly's blog for some more beautiful Yuletide Carol artwork! If you would like more information about any of the products you see on the hop, please contact your local Close to my Heart consultant! 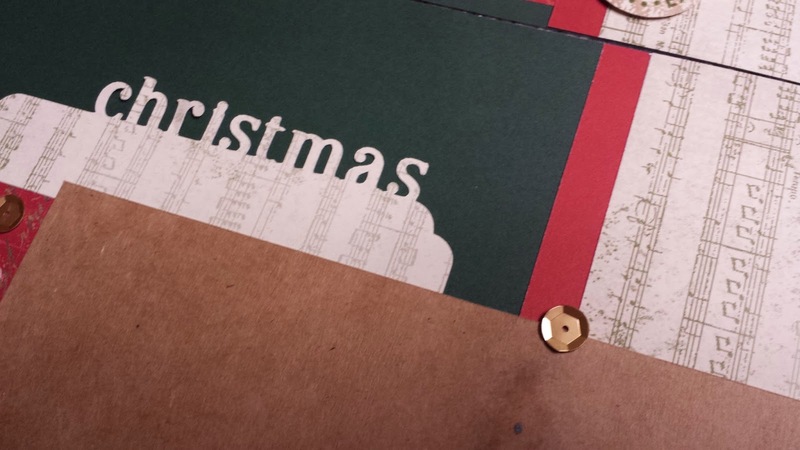 Chipboard, chipboard and more chipboard! If you are anything like me, you have tons of it in many different shapes and sizes. Letters, numbers, frames... you name it! 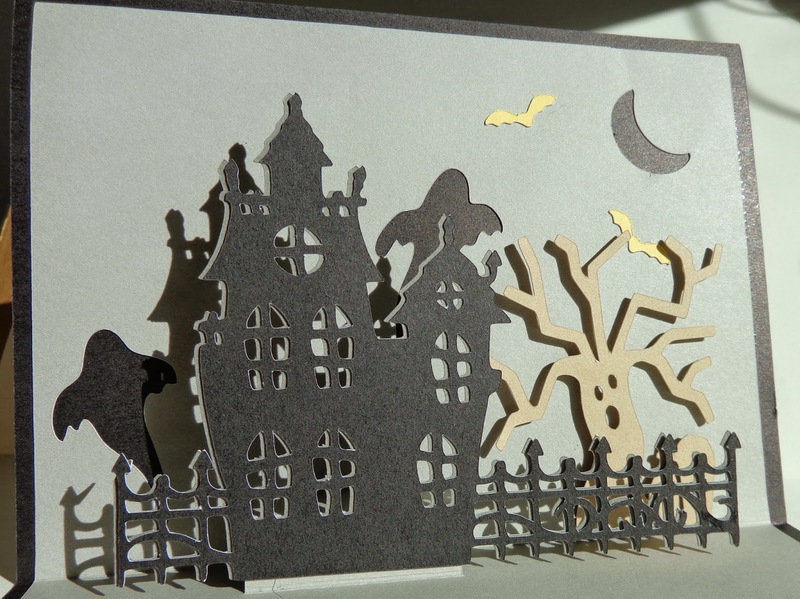 So this month, our theme is - you guessed it - CHIPBOARD! I am the starting point for this hop and all of the hoppers are listed at the end, but you can actually start anywhere because this is a circular hop. So if you got here from Shirley's blog, no problem! If you do get lost along the way, just return here for the next blog! As you go, please leave your comments as we love to get your feedback. Now, here is my project for this month. I attended a crop to raise funds for breast cancer research yesterday and spent the day working on this little mini album. It isn't quite finished yet, but after working for 12 hours, I couldn't do any more. I will get it finished before my hubby and I head to Mexico in December as I intend to put our vacations pictures in it. First of all, I would like to say thank you to all the very talented people out there who created some gorgeous albums that helped me create mine! I watched quite a few videos, making notes along the way. I made the cover of this album with chipboard I have had laying around for years (backing from CM paper packs), a piece of Kraft-Tek I "borrowed" off of a fellow cropper (I couldn't get my hands on a piece of Tyvek anywhere! ), two Seaside paper packs and a TON of Desert Sand cardstock. Oh, and the Close to my Heart Seaside Picture My Life cards! They saved me oodles of time! There are a lot of pictures here, so have a peek and let me know what you think. I wasn't sure how to keep the album closed but I had this really old ribbon from CTMH in my stash and thought it would look okay. Instead, it looks great! Inside the cover, I have a chipboard photo frame with a PML card under it. 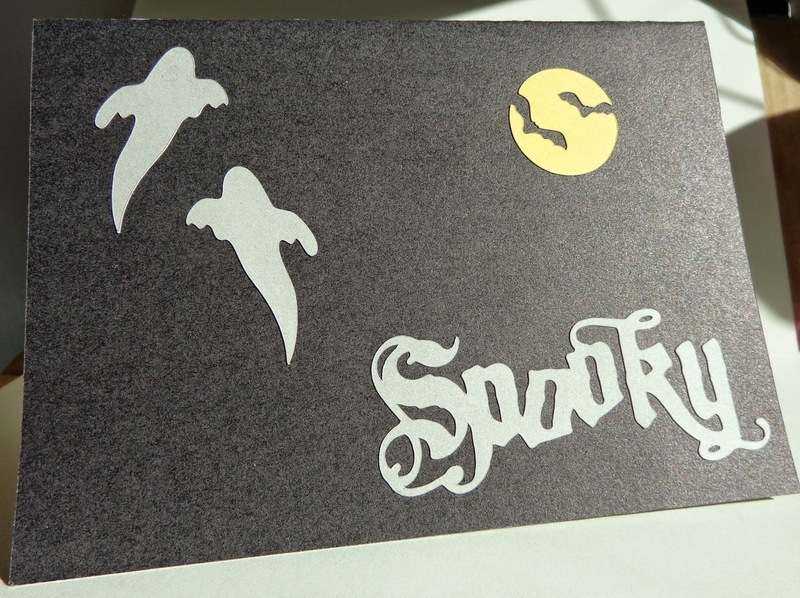 The card was actually too long so I sliced a chunk off the top, cut out the sentiment and added it with some foam tape. The photo frame is on the first page of a three page fold out that is held closed with magnets. The facing page is also a fold out, but only has two pages. Below are pictures of them opened. The next page has a chipboard piece from another photo frame. I distressed the edges with Desert Sand ink and added a sticker from the Seaside Complements. The sequins are actually silver that I coloured blue with one of my Shinhan Touch Twin markers. I noticed I skipped a page but you can see part of it above. I used a chipboard arrow that I distressed with Sorbet ink and added a small sticker (Beach) from the Seaside Complements. 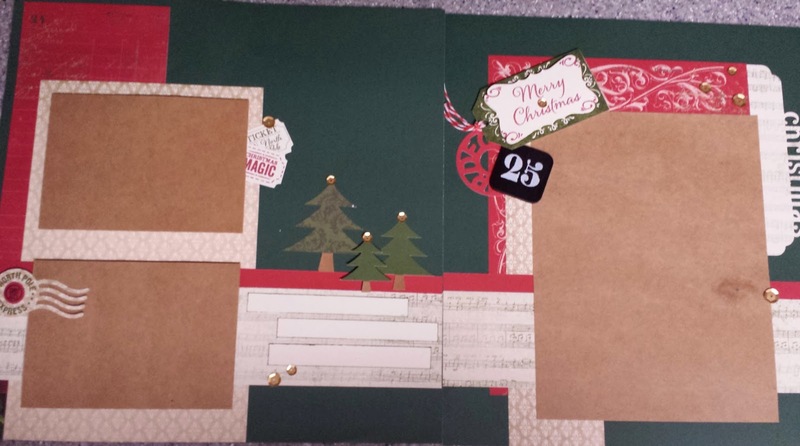 You can see on the next page that I used three of the PML cards - one to make a pocket and two smaller ones as tags. The PML card I used here has a banner theme so I tried to copy it on the next page. The three triangles are chipboard again. I covered two with Washi tape (Blue houndstooth and Brown Woodgrain) and stamped the center one with a stamp from the Seaside Workshop on the Go. They are strung together with some Hemp cord. Below is another chipboard shape, this time a speech bubble. I lightly distressed it with Desert Sand ink and added another Seaside Complement then added foam tape to pop it up. The little fish on the other page is from the Seaside Assortment. I added three Sparkle Gems as bubbles. The border was cut with the new CTMH Diamond Border Punch, and the beads are contraband that were in the goody bag I received at the crop yesterday. The next page has another chipboard arrow that I added a small piece of a zipstrip from one of the Seaside papers to give a little contrast. I love the sentiment from the Seaside WOTG stamp set! The flipflop card is another PML card and for this sentiment, I think it works great! The three sequins are the darkest ones from the CTMH Sequins Silver. So that is my project for this month. Still some work to do but it will be done by December! Now, on to Wendy Kessler and her beautiful artwork! want to follow us across Canada then please start at the beginning and join Julie at her blog. If you came from Terry Ann's blog then you are in the right place! 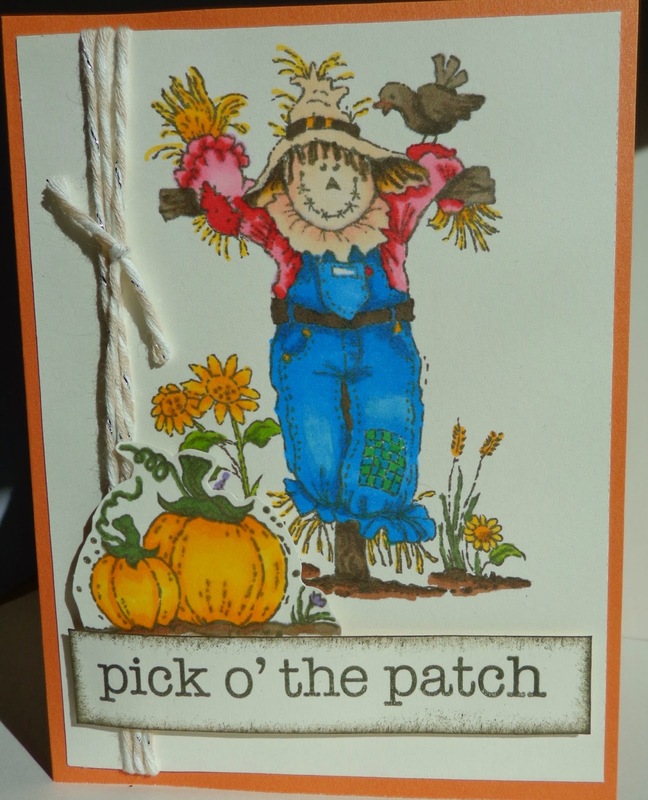 I made this cute card using the Stamp of the Month from September 2012 - Fall Favourites, and our new Shinhan Touch Twin Markers to colour the scarecrow and pumpkins. I love how it turned out! 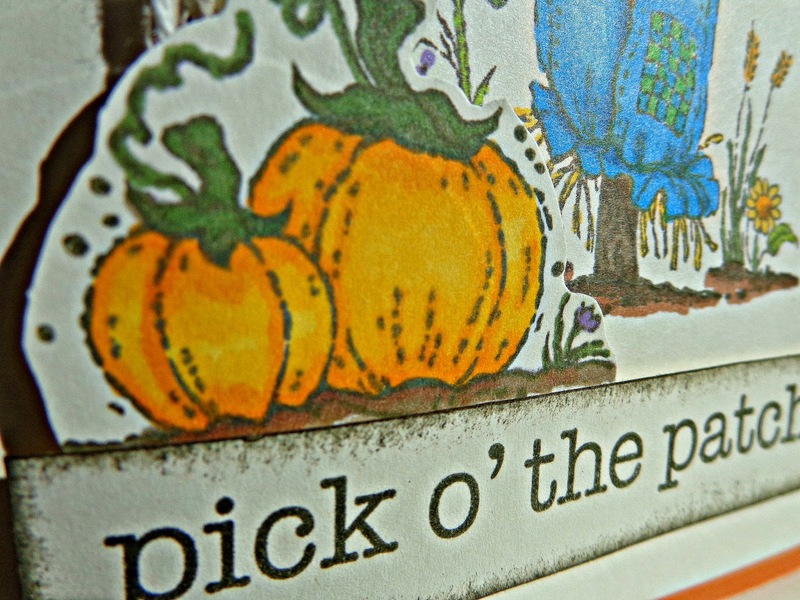 I stamped the scarecrow, pumpkins and sentiment with Cocoa Exclusive Ink and then popped up the pumpkin and sentiment with 3D foam Tape. the Bakers Twine adds just a little hint of sparkle! Here a few other cards I made last weekend at our Hearts so Wilde team meeting. Aren't they great? Both cards were made using the new Artfully Sent Cricut cartridge. The ghosts, mummy and bat were stamped in Black Exclusive Ink and then the mummy and bat were coloured with our new markers. the ghosts and the mummy were then coated in one layer of liquid glass to give them a bit of gloss. This is one of my favourites! I love the inside and will be making more like this! The Artfully Sent Cricut cartridge has so many options for stand up cards! That's it for my blog. thanks for stopping by! Your next stop on the Cross Canada Hop is Nancy Klein. If you get lost along the way, you can head to Michelle's blog, as she has the complete blog list.